Need to analyze a site with rough terrain or need a low-cost way to check a site under development? 3J offers unmanned aerial vehicle (UAV) imaging for use in photography, videography, mapping, and inspection. We serve commercial developers, contractors, architects, landscape architects, parks departments, transportation agencies, and school districts. 3J has secured all FAA approvals for this work, including the FAA’s Section 333 exemption to fly light-weight unmanned aerial aircraft for commercial purposes. 3J is fully insured and has FAA-certified pilots that comply with all regulations, including staying below maximum flight ceilings and outside restricted or controlled air space. We understand that permissions and rules for filming differ by state, and some municipalities have established their own policies. We verify those in advance of any UAV flight. Our equipment includes DJI Phantom 3 Professionals with GPS guidance systems. The craft feature 12 megapixel cameras with added ability to shoot 4K video up to 30 frames per second. The camera is mounted on an intelligent gyrostat includes image stabilization. 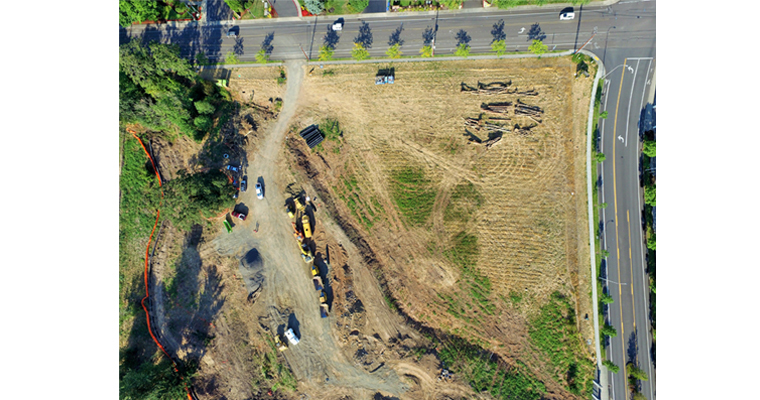 Aerial videography of a job site provides a vantage point that is not available from ground-level photography. Unobstructed overhead views are a cost-effective way to get a full view of a site to analyze existing conditions. 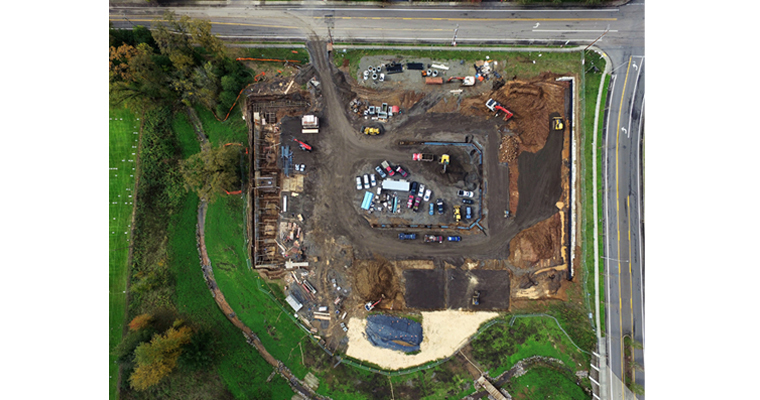 As construction progresses, UAV photography and videography allows a safe way to observe the project’s evolution. The work being done can be compared with design plans and the imagery creates a visual history of the project. The finished project can be photographed from the air to create unique marketing materials. 3J can provide a bird’s eye view of your physical assets for review and use in managing the facilities from afar. Hard to reach infrastructure can sometimes be accessed more easily and more safely from a UAV than in person. 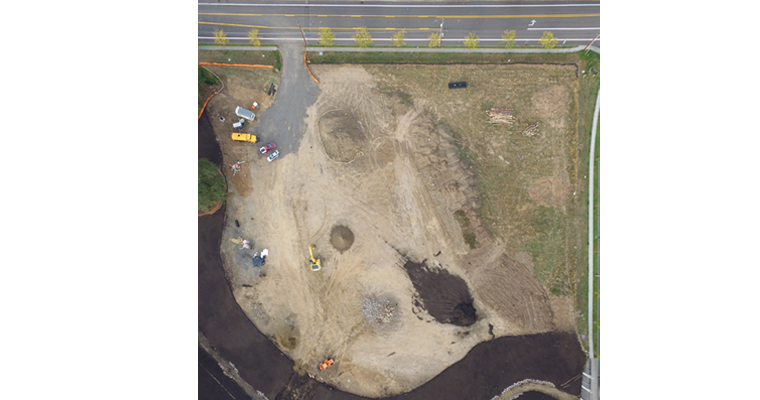 Seeing our project site from the air during construction was invaluable, as we were able to see actual progress and measure it more efficiently. 3J’s work really helped us see our plan for Hillsboro School District's Central Bus Yard come to life.